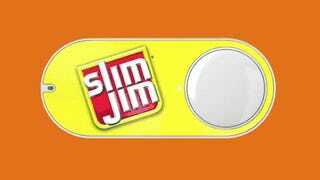 Yes, Amazon is still trying to make the Dash Button happen. The company plans to add dozens of new push-to-buy Dash options this week, ignoring the fact that they never really caught on. Market-research company Slice Intelligence told The Wall Street Journal that fewer than half of people who bought a Dash button since its launch a year ago have actually used it. The people who do use the button press it about once every two months. The last part isn’t terrible given that people don’t usually need toilet paper or detergent more than once every couple of months. But it’s also not exactly a cash cow. Executives of participating Dash brands have said that they’ve signed up for the program not because they think it’ll get them new customers, but because they want an in with Amazon—sort of like throwing some money at your friend’s Kickstarter campaign mostly to show that you’re loyal. Chief Executive Jonathan Propper said he is unconcerned by ridicule of Dash or its practical limitations, real or perceived.